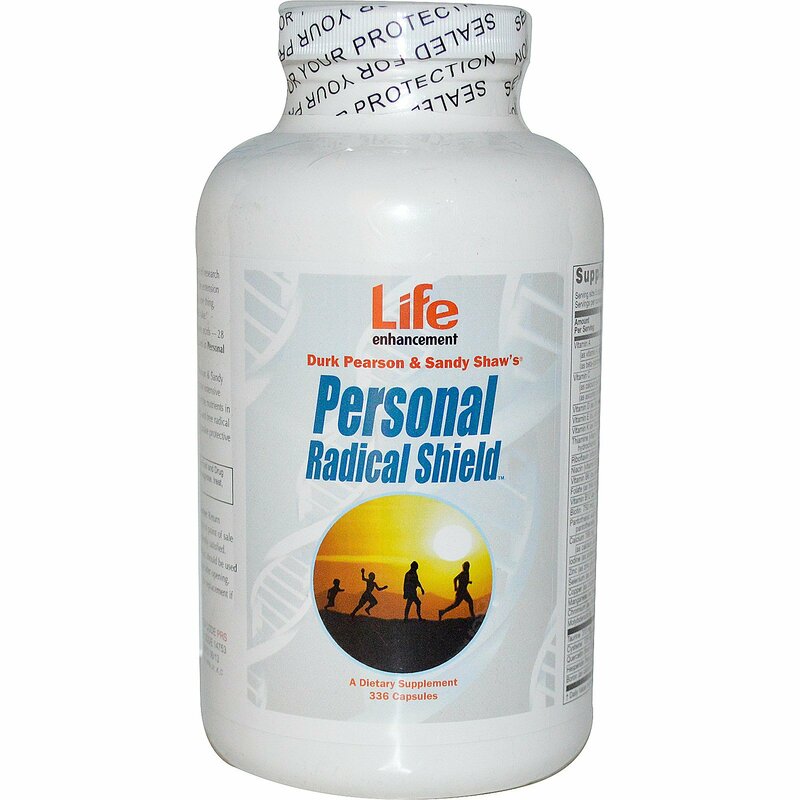 Personal Radical Shield is the centerpiece of research scientists Durk Pearson & Sandy Shaw's life extension program. They say "If we could only take one thing, Personal Radical Shield is what we would take." Antioxidants, vitamins, minerals, and amino acids — 28 total nutrients — are conveniently contained in Personal Radical Shield capsules. Designed and used every day by Durk Pearson & Sandy Shaw, Personal Radical Shield represents the extensive research of hundreds of scientists. Many of the nutrients in this formulation are powerful antioxidants and free radical scavengers or are needed by your body to make protective compounds. 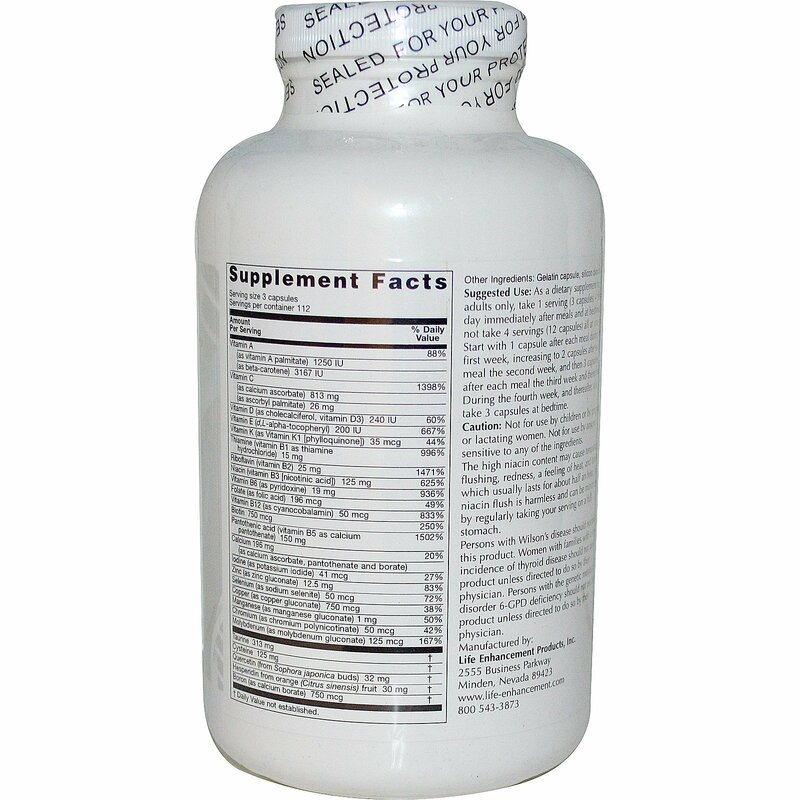 As a dietary supplement for adults only, take 1 serving (3 capsules) 4 times a day immediately after meals and at bedtime. Do not take 4 servings (12 capsules) all at one time. Start with 1 capsule after each meal during the first week, increasing to 2 capsules after each meal the second week, and then 3 capsules after each meal the third week and thereafter. During the fourth week, and thereafter, also take 3 capsules at bedtime. Caution: Not for use by children or by pregnant or lactating women. Not for use by anyone sensitive to any of the ingredients. The high niacin content may cause temporary flushing, redness, a feeling of heat, and itching which usually lasts for about half an hour. The niacin flush is harmless and can be minimized by regularly taking your serving on a full stomach. Persons with Wilson's disease should not use this product. Women with families with a high incidence of thyroid disease should not take this product unless directed to do so by their physician. Persons with the genetic metabolic disorder 6-GPD deficiency should not use this product unless directed to do so by their physician.